Peter Cook, co-owner of Cook's Bison Ranch, was named President of the National Bison Association this past week in Denver, CO at the annual conference. He had currently been serving as the Vice-President since 2010. The position is a voluntee effort which will require working with the 13-member board and additional directors and staff members to assist the 1,000-plus membership in the promotion and awareness of the bison industry. Cook states, "This is a very exciting time to be a representative of the bison industry. I look forward to networking with people across the country and to both mentor new producers and to learn from others. Additionally, 2012 offers the unique opportunity to be a part of the International Bison Conference which is being held in Quebec City, Canada this June." Additionally, Jason Moore, co-owner of CBR Natural Meats, was named Region VI Director of the National Bison Association, which covers the states of Indiana, Illinois, Michigan, Missouri, Kentucky, and Ohio. As Region VI Director, Jason serves as a liaison between the people of his region and the NBA. Moore says he is excited and looks forward to the opportunity to serve the people of his region and to bring their concerns and ideas to the national level in order to effect positive change. Both Cook and Moore will wear multiple hats and continue to serve the bison industry to their best ability "from the trenches to the top." 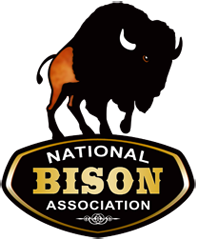 The National Bison Association (NBA) is a non-profit association of producers, processors, marketers, and bison enthusiasts. The mission of the NBA is to bring together stakeholders to celebrate the heritage of the American Bison/Buffalo; to educate and to create a sustainable future for the industry. The NBA has over 1,000 members in all 50 states and 10 foreign countries. The NBA reports that the U.S. buffalo business ended 2011 in the strongest economic condition in history, and the growing popularity of naturally-raised bison has ranchers scrambling to build their herds. "We are wrapping up one of the best years on record for the bison business," said the association's Executive Director, Dave Carter. "The connection that ranchers have forged with their customers is creating a strong foundation for continued growth as we look forward to 2012." To read more on this story, visit the National Bison Association website.